Along the row of "suicide watch" cells in the Spokane County Jail. The U.S. now has approximately 10 times as many people with mental health issues locked away in jails and prisons than it has receiving treatment through state psychiatric hospitals — a trend that reportedly increases patient suffering, public costs and overcrowding — according to a new study from a Virginia-based nonprofit. "A large number are in prisons and jails, charged with misdemeanor or felony offenses, many of which are a direct consequence of their untreated mental illness," the study states. "They are one reason, along with drug laws and mandatory sentencing, that most prisons and jails are overcrowded." The Treatment Advocacy Center, in partnership with the National Sheriff's Association, on Tuesday released a 116-page study on how corrections facilities nationwide incarcerate and medicate those with serious mental illnesses. A survey of state facilities found more than 300,000 prisoners with mental health issues, compared to just 35,000 patients receiving care in state hospitals. "It is a situation that is grossly unfair to both the inmates and the corrections officials," the study states, "and should be the subject of public outrage and official action." The study argues corrections facilities are not equipped to provide the same level of care, and should not be expected to serve as psychiatric treatment centers. The number of patients in state hospitals peaked in 1955 at about 560,000 people, decreasing rapidly throughout decades of de-institutionalization and, more recently, budget cuts to state programs. Without those state programs, many people have struggled to find treatment through community programs and instead make their way into the criminal justice system. 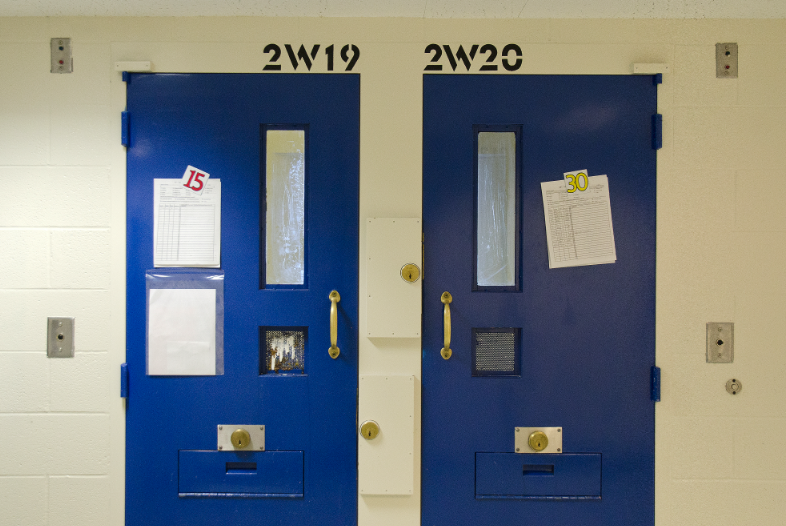 We wrote earlier this year about the growing role of county jails in mental health treatment, including new medical risks and treatment delays. "The criminal justice system is not really the proper place for mental health treatment," Spokane County Sheriff Ozzie Knezovich told the Inlander in February. In this week's issue, we also examined multiple complaints regarding the Spokane County Jail's mental health medication approval process. Numerous inmates or their family members have filed complaints that it routinely took a week or more to receive meds essential to mental function or stability. "Whether it's got one cause or many causes," local attorney Jeffry Finer says, "it's so evidently a pattern that people aren't getting proper medical care when they need it." 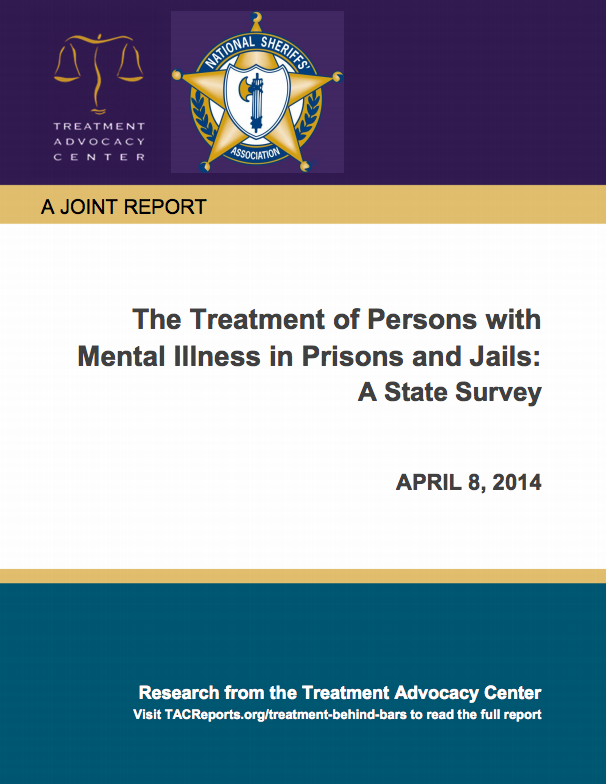 The advocacy center study echoed common concerns regarding locking the mentally ill in corrections facilities. Many facilities resort to isolating mentally ill prisoners in solitary cells to avoid behavioral outbursts or their victimization at the hands of other inmates. But research shows solitary confinement has its own psychological risks. Inmates with mental health issues also have trouble following jail rules, which leads to a disproportionate amount of discipline against them. The new study cites a Washington state prison survey that found mentally ill inmates accounted for 41 percent of behavioral infractions, but just 19 percent of the population. Financially, a 2009 study of Washington inmates show they can cost more than three times as much to incarcerate and treat as other inmates, averaging about $101,653 a year compared to just $30,000 for other inmates. The study includes other findings on Washington. In Idaho, the study finds the two remaining state hospital can house just 145 patients with more and more mentally ill finding their ways into the corrections system. The report notes the state remains near the bottom in mental health spending. "In fact, the quality of care in the two state hospitals is surprisingly good, if you can gain admission," the study states. "But as these hospitals continue to be downsized, most mentally ill persons who need to be hospitalized are ending up in prisons and jails." The study cites a single month in 2013 in which four prisoners were found hanging from bed sheets in corrections facilities. In hopes of moving communities away from corrections-based treatment, the study offers several recommendations to bolster prisoner care and work toward diverting individuals into treatment programs. Suggestions include changing state laws to ease diversion and medication processes. It also recommends new cost studies to define the expenses throughout the system. For more information, read the entire study here.